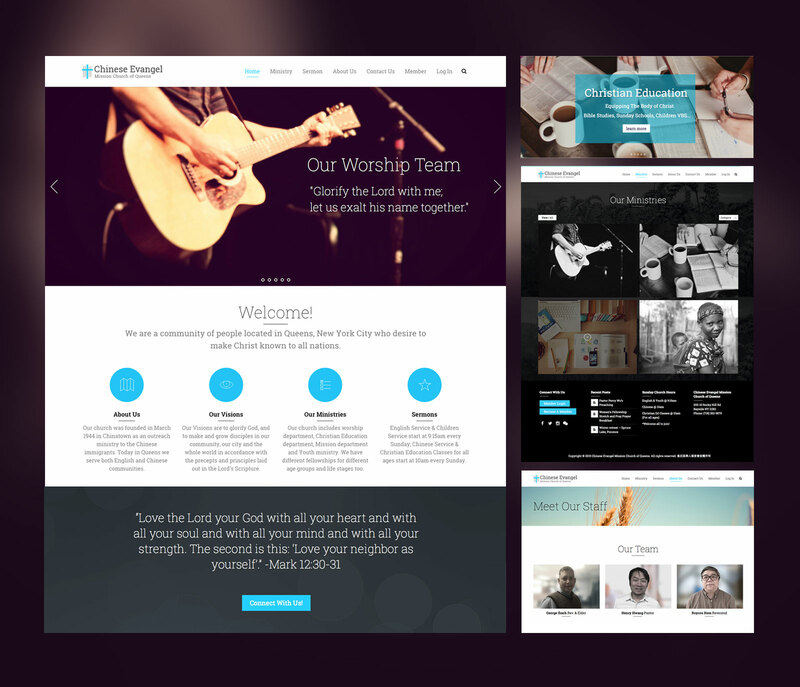 This was done using WordPress CMS platform for the Chinese Evangel Mission Church of Queens located in New York City. This responsive website has two languages, English and Traditional Chinese. It supports church magazine volumes, different level of church membership, sermon database and more.